Smartphones have replaced lots of other accessories—cameras, flashlights, calculators. But many people are still reluctant to swap the wallets in their pockets for their digital counterparts. 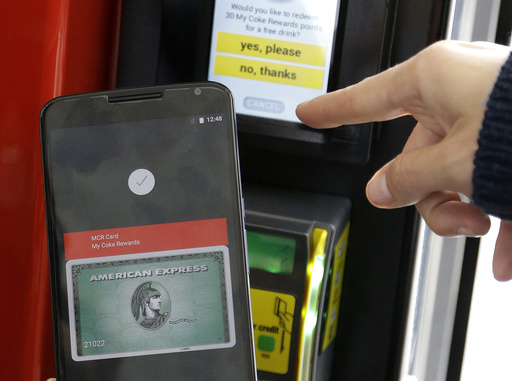 A key reason consumers are hesitant to adopt mobile payments like Apple Pay and Android Pay, surveys say, is fear over security: High-profile retailer data breaches have made buyers wary of sharing credit card information. But while there’s cause not to rely 100 percent on your mobile wallet just yet—lack of widespread acceptance by merchants, for one thing—security concerns shouldn’t be holding shoppers back, experts say. “I think some people get nervous about this idea of ‘This thing is sending telepathic waves to that machine to say that I’m paying,'” says Mark Ranta, head of digital banking solutions at ACI Worldwide, a payment systems company. But your mobile wallet is arguably the safest way to pay, and it offers a few benefits to boot. Here’s why this payment method is worth considering. Contactless payment services can offer more security than cash or traditional card usage. Samsung Pay, Android Pay and Apple Pay each use this process, called tokenization. Although you load your card into the payment app, the actual card number is not shared with the merchant when you pay. Rather, a temporary code is issued in its place, similar to the way EMV chip cards work. EMV credit and debit cards have chips that create a unique code, or cryptogram, when inserted into a merchant’s payment terminal. However, the card is in view while the terminal reads the chip. Mobile payments provide security measures on top of existing bank protections that chip cards can’t match. Full card numbers are not displayed in mobile wallet apps, and users are able to authorize payments with their fingerprints, which can protect your card information in the event your phone is stolen. Services like Apple Pay let users add multiple cards to their phones or smartwatches, theoretically giving them the option to leave overstuffed wallets and purses at home. But consumers don’t entirely trust mobile wallets partly because availability is limited, says Ranta. Not all cards and loyalty programs are compatible with the payment services, and some stores are not equipped to take mobile payments. Establishments such as bars and restaurants may accept only cash or plastic. Apple Pay has the highest retailer acceptance rate among the mobile payment services, at 36 percent, according to survey data from the retail consulting firm Boston Retail Partners. But when shoppers can use their mobile wallets, it can mean saving precious time at the register. A common complaint among dissatisfied chip-card users is the slow transaction process, as shoppers wait for the EMV terminal to complete the transaction. Mobile payments can be a quicker alternative. Users open a payment app and hold their device over a terminal; a fingerprint or PIN verifies the purchase. Shopping online can be faster, too. For example, Apple Pay and Android Pay are accepted on certain websites and in apps like Airbnb, allowing shoppers to make purchases without entering card information—or keeping card numbers on file, which may assuage data-breach fears. And like some bank apps, a mobile wallet saves your recent transaction history for reference, with the added benefit of allowing you to see all activity in one place even if your cards are from various banks. Mobile credit card payments function just like regular credit cards. As long as your card is compatible with the service, you’ll continue to earn your usual rewards, like travel points or cash back. Mobile users can add certain retailer loyalty cards to Android Pay and Apple Pay wallets to seamlessly earn store-specific points. Samsung Pay accepts most membership cards. Samsung also has its own loyalty program, Samsung Rewards. In addition to credit card rewards, members earn points for Samsung Pay purchases; the points are redeemable for rewards like gift cards and fitness trackers.